There are a few photo themes you’ll come across pretty much every day when you join the popular mobile photo sharing site Instagram. Images of food, cats, feet (running shoes, heels, barefoot at the beach), airplane wings, and sunsets. 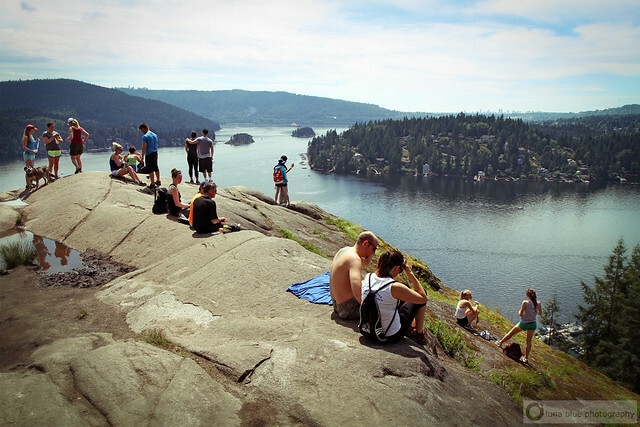 In Vancouver, you can probably add Quarry Rock to that list. 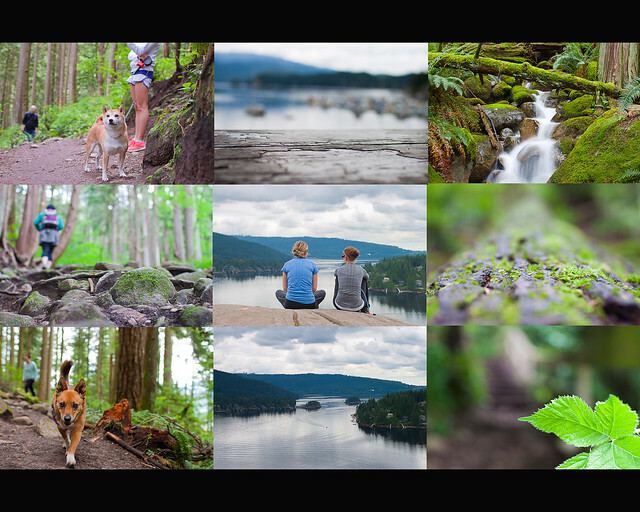 The main attraction of this North Vancouver hike are its panoramic Deep Cove and Indian Arm views. According to the BC Mountaineering Club this 2 hour hike is about 3.8km, it’s open year-round, it’s pet-friendly, it gains 100m in elevation and is considered “easy”. You can get to the trailhead in Deep Cove by transit and there are plenty of beaches around to cool off after your trek. The Quarry Rock Trail is located at the start/end of the Baden Powell Trail, a 48km-long route that traverses the north shore from Horseshoe Bay to Deep Cove. Points of interest along the Baden Powell Trail include the summit of Black Mountain, crossing the Capilano River by way of the Cleveland Dam, the Grouse Grind, Lynn Canyon suspension bridge, and Seymour Canyon. The start of the Baden Powell Trail begins along Panorama Drive just beyond the park area. Look for the sign on the left side of the street and walk up the edge of the driveway towards the wooden steps. The first section of the trail climbs quickly up the set of stairs and then up and over the maze of tree roots. Once you’re done taking in the views from Quarry Rock, you can enjoy a free summer concert in Panorama Park or stop into one of the local cafes for a treat. For more information about hikes this season, check out Tourism Vancouver’s Top 5 Easy Summer Hikes and sites like Vancouver Trails and Club Tread for detailed information. I love the casual pace of this hike. The ascents, descents and level parts of this trail all work perfectly. And the view at the end is an awesome reward! It’s a nice walk no matter the weather too. Though, last time we did it, we saw numerous left over doggie poop bags left up in the branches of trees and brushes along the way. We also picked up some garbage (starbucks cups) that we found along the trail too.